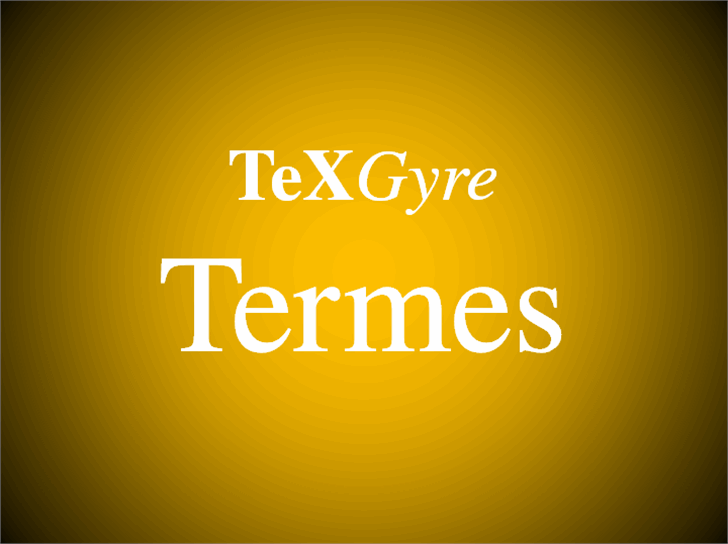 LOVE the TexGyre Fonts!! Hard to find free serif and sans fonts that look so beautiful together!! Copyright (URW)++, copyright 1999 by (URW)++ Design & Development; Cyrillic glyphs added by Valek Filippov, copyright 2001-2002; Vietnamese characters were added by Han The Thanh; copyright 2006, 2008 for TeX Gyre extensions by B. Jackowski and J.M. Nowacki (on behalf of TeX users groups). This work is released under the GUST Font License -- see http://tug.org/fonts/licenses/GUST-FONT-LICENSE.txt for details.